Find Better Ideas, Faster ® with a custom pants trend report, our PRO Dashboard and 80+ categories of premium trend reports. The Pants Trend Report covers a wide variety of styles and designs in jeans, shorts, trousers and more. 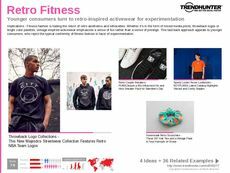 From our crowd-sourced research, users will gain insight on emerging and dominating patterns in the marketplace, as seen with leggings, skinny jeans, slacks, Dickies, yoga pants and various styles of pants for men. Moreover, the Pants Trend Report also tracks the most effective marketing and advertising for this fashion niche. Our reports are ideal for those in fashion, design, marketing and advertising. By understanding the developments in this subsection of fashion, those in the industry can stay ahead of the competition. 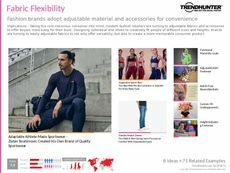 Find the creative inspiration needed to incite innovative product development and marketing strategies that resonate with consumers with the Pants Trend Report.